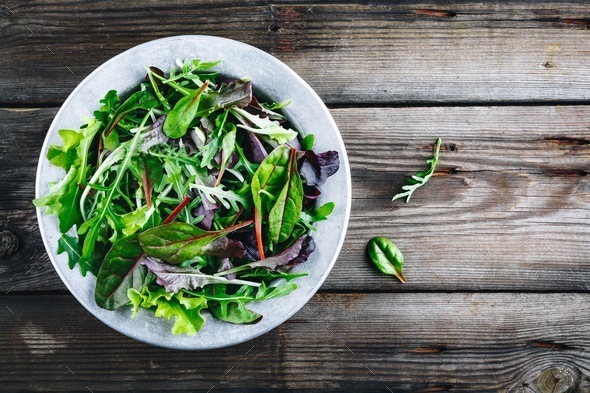 Mix of fresh leaves with arugula, lettuce, beets. Ingredients for salad on a wooden background. Mix of spring fresh leaves with arugula, lettuce, beets. Ingredients for salad in bowl on a rustic wooden background.